I’m sure you enjoyed your Neopia Central tour when you were here the other week (at least, I’m pretty sure). I tried my hardest to show you everything but Neopia Central just can’t be viewed in one day. I really hope you return. I promise I won’t make you eat mustard ice cream next time. Believe me, I didn’t know you were allergic to mustard. Next time, I’ll let you taste some eyeball sushi. They’re the best! Life is…normal. 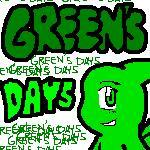 I’m still an ordinary Island Gelert living in Neopia Central. As I write this, Belle is humming in the kitchen as she tries to figure out how to make the new (Note: the fifth this week) Faerie Kitchen Oven work. She is neither cook nor baker. If she forces me to eat another burnt creation (they’re so charred I can’t tell what they are) of hers, I’ll hurl disgracefully on the Mootix Rug. Nadashikoh loves that rug. Hmm…scratch what I said. I would gladly hurl on that rug for my conceited Aisha sister’s sake. Speaking of which, Nadashikoh asked me to tell you that she said she enjoyed your company (that was a mouthful!). I think you’re the first Neopet ever to say yes to her offer of showcasing her humongous plushie collection. By the time my dear sibling had finished boasting about her gallery, it was time for lunch. You were in her room for a solid two hours, Isis. Whew. I’m glad you managed to survive that. Whatever it was that you wished for at the Wishing Well, I’m sure it will come true. You had a particularly pensive expression on your face when you were dropping your Neopoints. I could tell you liked the Health Food Shop, too. Honestly, I can’t stand the place. I only braved that den of junk because of you. I shiver whenever I remember the green Quiggle attempting to shove an apple into my mouth. Yuck. Good thing I always have a pack of finger crisps with me. I was about to die of healthy smell inhalation. The fresh aroma of the finger crisps brought me to life! Uh oh. I can hear Belle calling my name. What has she baked/cooked (if you could call it that) now? You didn’t reply to my last letter. Why? Is something going on that you can’t tell me? Maybe my letter hasn’t reached you. But then, if it hasn’t, then shouldn’t you have written me a letter asking me why I haven’t written to you? I know my sentences right now are just going round and round. See, I’m confused. Do write as soon as you receive this. Anyway, Yuki is going through an identity crisis. All the changing of species and genders is really making him crazy. Belle is seriously considering not bringing him to the secret lab anymore. The ironic thing is, Yuki wants to continue his lab training. Oh, and in case you were wondering, he’s a female red Wocky right now. I’m thinking of volunteering to be the new lab pet, even just temporarily, so Yuki can take a break. What do you think? Nadashikoh, on the other hand, is currently running an Apple Cider Stand. She is creeping me out. She’s been attempting to sell cider for 100 NPs a glass for three whole days. And, she’s doing it in front of our Neohome! My friends feel so sorry for her that some of them can’t help buying a few glasses. I’m stopping now. I must go and help Nadashikoh rake in some dough. As much as I hate what she’s doing, I don’t want her to make a fool of herself. Not because I’m fond of her, mind you, but because I’ll be thought of as a fool, as well. I won’t be able to walk the streets of Neopia Central safely. Neopets will call me, “the poor brother of the Faerie Aisha who tried to sell apple cider for 100 NPs a glass”. Reply soon! I’ll be waiting. Why are you ignoring my letters, Isis? Have you found so much to do with your time that you cannot spare a little for me? I miss your letters. I miss you. I used this envelope because it reminded me of you. Pink: sweet, innocent, and friendly. I know you don’t think of yourself that way but you are. If only Nadashikoh were a lot like you, we would get along so much better. Why won’t you reply? I mean, could you, at least, answer my question? It’s not nice to keep me guessing. I thought you were my friend. I am so sorry I have not written to you in months! I hope I am not too late. I did not ignore your letters, my friend. I have not gotten my paws on them until now. Mort, my mutant Mortog friend from the Lost Desert, found your letters unopened in our mailbox back there. He has taken the time to mail them all to me along with a letter of his own. Were you surprised when you saw my letter? Were you outraged? I am not even sure that this has reached you. Terror Mountain, although not as far from Neopia Central as the Lost Desert, is very steep and glacial. Add to that is the fact that a sea has to be crossed. Whoever makes sure that the mail from pets here gets to wherever they have been sent must be totally fatigued everyday. Do not think that I have not thought of writing to you all these months. I have. I only thought that a Post Office was not in existence here. It was only when I received your letters through Mort did I realize that there is one. Why am I at Terror Mountain of all places, you ask? It all began when I turned up at home after my trip to Neopia Central. Lady Re was very ecstatic. She ushered me into the house and told me to pack the rest of my things. She went on and on about some deal she had struck with a Neopet. She was supposed to write a novel in one year about life on Terror Mountain. The payment was high, she said, and she needed to do something, anyway, besides squandering her Neopoints. She also mentioned that she had sold all our furnishings, that the Neohome would remain empty until we chose to return. I must tell you, Yannagiba, that arguing with Re is like pummeling a chocolate mallow. You will drown in cream before you know it. I chose to keep my mouth shut albeit I was hurting so much inside. Horus (my Anubis, if you remember) shared my sentiments but what were we to do? Five tedious hours later, we arrived on top of Terror Mountain. Our home…our home was an igloo. And not a sizeable one at that. It was so cold. I was bundled up in two layers of clothing but I could still feel the frost seeping into my skin. It is amazing that my skin, so accustomed to the blistering heat of the Lost Desert, cannot stand the snow and the cold. It has been five months since then and still, I have not adjusted to the freezing environment. You wrote! I am so happy. Forget everything I said in my letters about you-know-what. I was in no position to write such things. I’m sorry. If I could take them back, I will in a heartbeat. I can’t believe it. You’re at Terror Mountain. TERROR MOUNTAIN! Before I tell you about what’s been happening her, I have to ask you something. Is it just the weather you’re having trouble adjusting to or are you hiding something else? Like, maybe, how you’re adjusting to the Neopets there? Tell me more about what your life’s like now. What do you do for fun? I’d love to visit and challenge you to a snowball fight. I’m writing this letter in my room at the Royal Neopian. My siblings and I are to leave for home tomorrow. We’ve been here for a week, engorging in the hotel services which include Neopian Times delivery, maid service, Fitness Center, Burger Bar (yum! ), sauna, swimming pool, and a lot more. We’re here because Belle is taking a bunch of complicated tests somewhere. She looked absolutely frazzled before she left muttering things that us Neopets could hardly comprehend. She sounded distressed when she told us she would be gone for a week. We tried to assure her that everything would be fine. After all, we could take care of ourselves. I’m not sure she even heard us. I’m getting tired of all the luxuries here. Except for Nadashikoh (who is curled up on the Beauty Bed), the rest of us can’t wait to get out of here. Yuki, in particular, is craving for the lab! Can you believe it? I guess he got so used to the lab training now that it seems out of place not to go there. Just so you know, I have never participated in a snowball fight. In fact, I have never participated in anything around here. Those wretched Neopets avoid me like Neomonia. I would cry if I did not feel like my tears would become frozen in the arctic air. I have tried endlessly to use your previous advice but it does not work like a charm on this winter wasteland. I am dying for someone to talk to besides my dear Horus. Lady Re is a hopeless case. All she does is wander around Terror Mountain observing the sky and interviewing the residents. It is uncanny, Yannagiba. They shy away from me as I approach. I hear whispers, oh so soft whispers, “She came from the Lost Desert…” “Poor thing.” “Eww…who does she think she is?” By no means did I think I would be treated like this. So. It is because of my heritage that they shun me. What is wrong with the Lost Desert? Then again, what is right with Terror Mountain? I see none. Re has offered a very easy solution to my problem. She willingly suggested that she buy me a snow paint brush for instant reception into the wintry clique. Ah, yes, I thought, if I were snow…they would treat me as one of their own and be none the wiser. Lady Re is always in high spirits nowadays. For some reason, she does not seem to miss the Lost Desert one bit. Unlike me. I long for the day when I will be able to see my desert again. I can almost feel the sand under my paws. Your letter took its time getting here. I guess I just have to remind myself that you’re up there and I’m down here. You know me. I worry a lot. Maybe I should bribe the pets at the Post Office to make your letters arrive faster. Come to think of it, that’s not a bad idea. On to your dilemma. Nobody has the right to choose for you but yourself. Think carefully. Do you really want to be a Snow Aisha and leave your Lost Desert appearance behind? Note that if you decide to become Snow, that doesn’t mean you’re betraying your homeland (which is the way it sounded in your last letter). But then, do you really want to be friends with pets who base their decisions on appearance (I’m not one of them. *coughs* Okay, so maybe I am a little. Alright, a lot. Happy? I mean, I used to. I’m still you friend, right?)? Not that my situation here is improving. My siblings and I visit the Neolodge so often that the staff recognize us and call us by name. It makes me feel like I’m somebody rich and famous (when it’s obvious that I’m not!). We are so tired of the place but we have to stay there. See, Belle is away more and more. Each time she returns to fetch us, she looks even more bushed than she did before. She keeps on insisting that she’s alright even though it’s obvious that she isn’t. The next time she tries to chuck us into the Royal Neopian, I am telling her that we can fend for ourselves. I AM A SNOW AISHA NOW. So, tell me. Are things getting better? You are going to love it here. The snow, the wind, the ice…they’re all part of winter on Terror Mountain. Although, it is always winter on Terror Mountain. Come and visit. I will take you ice skating. It’s the first day of Celebrating and you know what that means…the Advent Calendar. There were so many pets crowding all over the place that my friends and I had to wait for quite a long time before we had our turn. I was hoping I would see you there, Yannagiba. Yes, things are finally getting better. For the first time, Lady Re was right. The pets have accepted me now that I am like them, now that my skin is white and not golden brown. Now that I am of the snow and not of my beloved desert. Everything is different now. Re and I often get invited to lovely winter parties and I’ve even taken part in Snow Wars. I am beginning to get a little athletic these days. Sometimes, though, I get pangs of sadness. They strike me at night when I am alone except for Horus’ company. I feel as if I’ve lost a part of myself and will never get it back…the price I paid for giving up my Lost Desert Aisha self. Sometimes, my anguish is so tangible that I feel tears smarting my eyes and I cry and I cry until I can cry no more. Things change, right, Yannagiba? And, sometimes, one has to yield to change in order to survive. I couldn’t have lasted had I not conceded, right? Merry Christmas! As I write this, the rest of my family is bundling up for the freezing weather up there at Terror Mountain. We’re going to the Advent Calendar (and I’ll go and meet you!) to collect today’s bounty and will most probably end up spending the night somewhere there. Everyone’s pretty much happy. Belle passed those freakish exams she took months ago. Yuki is a yellow Lenny, at the moment, and he’s totally racking up intelligence points (and trying not to think about the Lab Ray too much). Oh, and Ashi’s got a new moneymaking scheme: slushies. The ones she makes aren’t so bad, I guess, but maybe that’s because Chi the Aubergine Chia is helping her. That Faerie Aisha doesn’t know when to stop. I’m afraid she’ll wear out Chi and he’ll end up ill, as usual. I’ve got an awfully different outlook on change, Isis. For me, if change will bring more harm than good, then I’d rather have things just the way they are. And, I’ll change to make myself happy, not others. But, then, we are two very different pets with very different ways of handling things. I respect you for them. Just in case you ever feel like you can’t take it anymore, I’ve got a shiny Christmas present for you. Clue: It’s got a gold handle and colored bristles. Oh, and you can bring it to the Rainbow Pool with you if you’ve had enough. Only if you’ve had enough, you hear!